David Abrams is a Managing Director in RKF’s New York and Miami offices and is involved in landlord and tenant representation assignments, as well as investment sales, in both markets. David began his career with RKF in June 2010 as a college intern and subsequently joined the firm as a Canvasser in February 2011. David has worked with landlords such as Atlas Capital, Pan Am Equities, 601W Companies, Triumph Hotels, BLDG Management, Premier Equities and The Alexico Group. He is currently marketing prominent agencies, including 1140 Third Avenue on behalf of Crescent Heights, 1120 Avenue of the Americas on behalf of Edison Properties, 700 Avenue of the Americas on behalf of Pan Am Equities and 990 Avenue of the Americas on behalf of Vanbarton Group. Notable transactions in which David represented the landlord include the leasing of 45 West 45th Street to Orangetheory Fitness, Fournous Theophilos Bakery and gastropub Valerie, and 132 West 31st Street to Ichiran on behalf of Vanbarton Group; 1140 Third Avenue to Swerve Fitness, Oath Pizza and Vintage Twin on behalf of Crescent Heights; 2839 Broadway to CVS/pharmacy; 2460 Broadway to Sweetgreen on behalf of Itzhaki Acquisitions; 2175 Broadway to Lush Cosmetics and Mille-Feuille; 125 Chambers Street to Pret A Manger and 113 Reade Street to Serafina on behalf of Triumph Hotels; and 255 West 14th Street to SLT and Bright Horizons, 270 Park Avenue South to Morton Williams Wine & Liquor, 127 Fourth Avenue to Bar Bacon and Mi Garba, 245 East 44th Street to Tokyo Restaurant Group and 455 Park Avenue South to Ikinari Steak on behalf of Pan Am Equities. 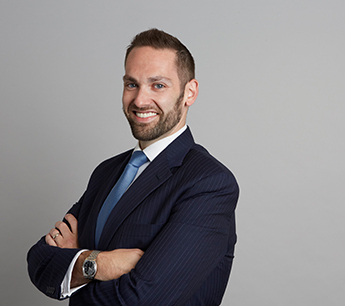 David has also been involved with significant tenant representation transactions. He currently works with Asanda Spa Lounge, City of Saints Coffee Roasters, Fluevog Shoes, Goorin Bros., Prive Revaux and SLT to fulfill their real estate requirements. Recent transactions include City of Saints’ Flagship at 3 Bryant Park; Fluevog’s first Brooklyn location at 37 Main Street in Dumbo; Prive’s first brick-and-mortar location at 120 West 42nd Street followed by Aventura Mall, and most recently a relocation to 140 West 42nd Street; and SLT at 255 West 14th Street and 177 East 87th Street in Manhattan and 42-15 Crescent Street in Long Island City. He also assisted The Coffee Bean & Tea Leaf on their Manhattan expansion. David is also experienced in investment sales, having arranged the $40 million sale of 47-25 34th Street in Long Island City, a 322,390-SF industrial building leased to Polo Ralph Lauren, Gander and White, and TEC Systems. Recently, David represented Coltown Properties in its acquisition of a 19,008-SF commercial condominium at 100 West 93rd Street. David subsequently represented both the landlord and tenant in leasing 100 West 93rd Street to The Manhattan Childrens Center. David also represented a developer in the purchase of air rights at 195 Tenth Avenue. David earned a Bachelor of Science in Marketing from Yeshiva University Sy Syms School of Business. He is a licensed real estate salesperson in the state of New York and is a member of International Council of Shopping Centers. David was recently recognized as a 2017 CoStar Power Broker Award Winner in the New York City market as well as one of the Commercial Observer’s 30 Under 30 for Commercial Real Estate.